1. Print out the flyer located in this post (you can also save the flyer to your phone and use the image). 2. 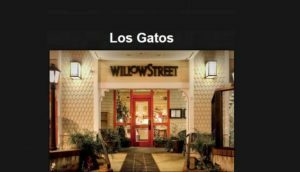 Take it with you to Willow Street Pizza in Los Gatos on December 18, 2017 (one flyer/check required). 3. Present the flyer to your server. 4. Willow Street Pizza will donate 20% of your Take-Out or Dine-In food and beverage purchases to St. Vincent de Paul. This applies to all purchases, lunch and dinner, on the designated day, at the Los Gatos location. You get a delicious meal and support our mission to help the needy in our community. We encourage you to spread the word and share the flyer with your friends. Keep in mind that it is only valid on December 18th and at the Los Gatos location. The Pizza is great and we hope to see you there! The flyer can also be found on svdp.org and our Facebook Page.